I love when I find a product that allows me to pamper both my daughter and myself without the worries of harsh chemicals and guilt. 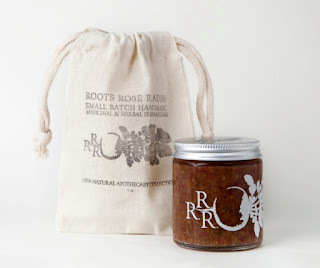 Roots Rose Radish is an amazing company that is dedicated to making sustainable health and beauty care, using the best ingredients that nature has to offer. They even grow their own plants for use in their products! Founded on the idea that people shouldn’t sacrifice their bodies for beauty, each formula is crafted only from high performance natural ingredients by a trained Herbalist. With our back to the land approach RRR grows and wildcrafts many plants sought after for their medicinal properties in the formulas; an embodiment of local resourcefulness. The other ingredients are sustainably sourced by certified organic growers. Believing that quality will foster radiance and inspire overall sense of well being, leaving you with stunning results. All research and development, formulations, packaging, marketing and distribution are done in-house, allowing for quality control every step of the process. Each formula is created by Christian Toscano, an avid cultivator, wildcrafter and Herbalist. She customizes them with emphasis on the plant’s medicinal properties. She draws inspiration from antiquated botanical illustrations, folk herbalism, victorian drawing rooms and french gardens. She then pairs this with the science of herbal medicine and organic permaculture practices. Operating from Los Angeles she cultivates, formulates and manufactures 100% natural premium skin care. It should come as no surprise that their Honey Pecan Rose Face Cleanser is a lot of heaven in a jar. designed for daily use, is loaded with honey to tone, soothe and lock moisture deep into cells. Finely ground pecans gently exfoliate away the day’s reside while increasing blood flow to skin cells. With lavender oil to cleanse and purify, and jojoba oil to soothe, moisturize and condition, this formula is perfect for refreshing, hydrating cleansing. It’s designed to clean, moisturize and replenish without the tight after-feel that harsh soaps and detergents can leave behind, leaving you with healthy glowing skin. 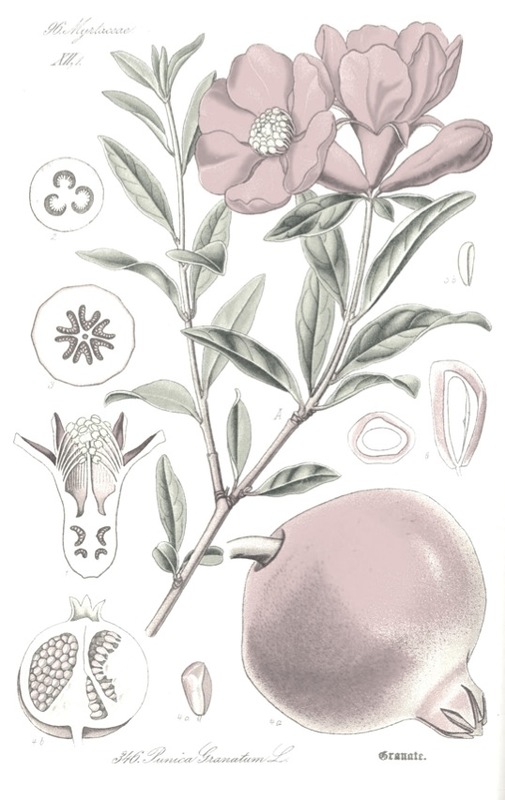 It is so natural (100%) that you could (but should not) eat it, though the delicious scent may have you more than tempted to do so. I not only use this on my face, but my daughter loves using it as a gentle body scrub. I cannot wait to try their Face Creamand Body Butter. 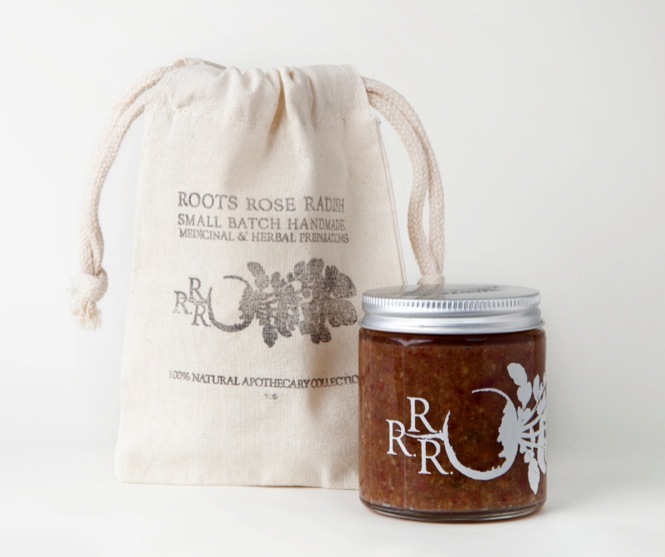 Roots Rose Radish is doing amazing things to help you look and feel your best. I love that we can have mommy and daughter pampering days. My skin has never glowed like this and it is safe enough to use everyday. The question is not if you should try Roots Rose Radish, it is “how soon can I get my order?” Be sure and also check out the delectable (and sustainable) line of Solid Perfumes (which come in the most amazing shells that you can send back for a refill).